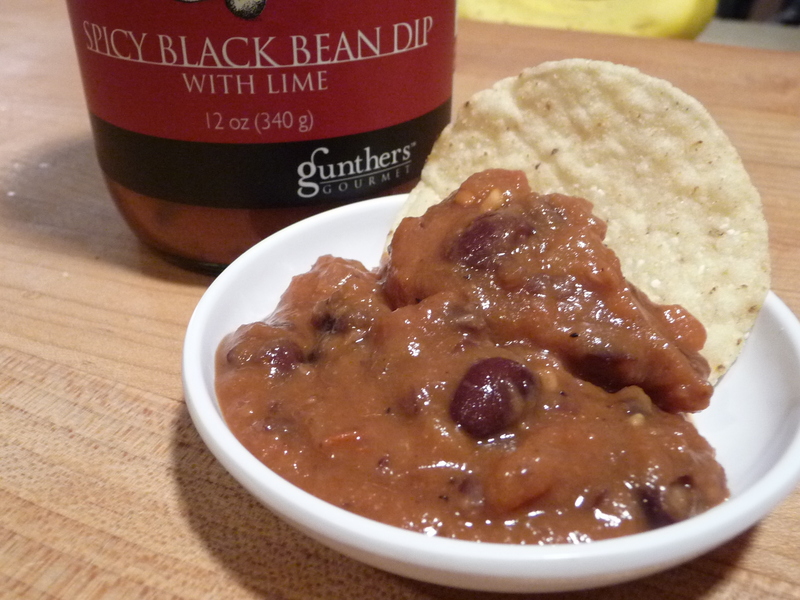 Texture & Appearance:The initial appearance is of your classic bean dip… brown. Upon closer inspection though, you’ll find bright red bits of tomato, garlic, and whole black beans. At room temperature this pours smoothly, and even when refrigerated it maintains its smooth consistency, perfect for dipping. Taste Straight Up: First taste reveals a classic bean dip, but it’s remarkably smooth and silky on the tongue. I attribute this to the addition of the sweet potatoes, which add a natural sweetness and great texture, along with just a bit of honey. The lime juice adds a bit of acidity, but not enough to give it a bitter bite. I love the flavor of this salsa/dip. Heat Level: – A pleasant burn comes on and builds with every bite. I found myself eating spoonful after spoonful of this dip. Though the heat becomes more evident with every bite, it does not overwhelm the wonderful flavors of this product. This dip is definitely addictive, providing tons of flavor with a perfect balance of heat. While only 2 stars on the heat level, it’s just what you want for your next tailgate party or cocktail event. 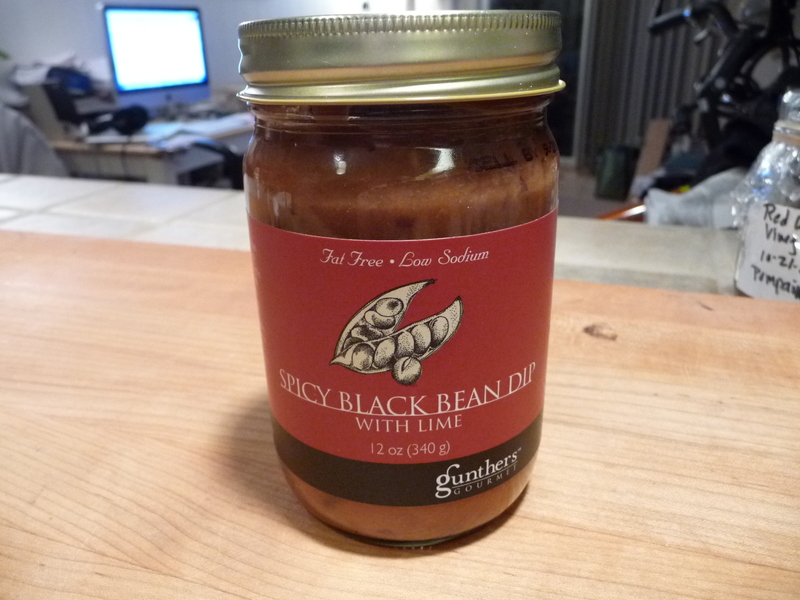 Label/Graphics: This label, like all of Gunther’s Gourmet products, is clean and classy. Simple and descriptive with a pic of beans in a pod, it deserves a place on the higher-end shelves of grocery and specialty (read Whole Foods) stores. Nothing distracting, just simply stated. Overall Rating (Taste on Food, Final Thoughts): – As addictive as this is, I have to give it 5 stars. Yes, I know that seems high, but in my opinion this is a perfect dip sauce. 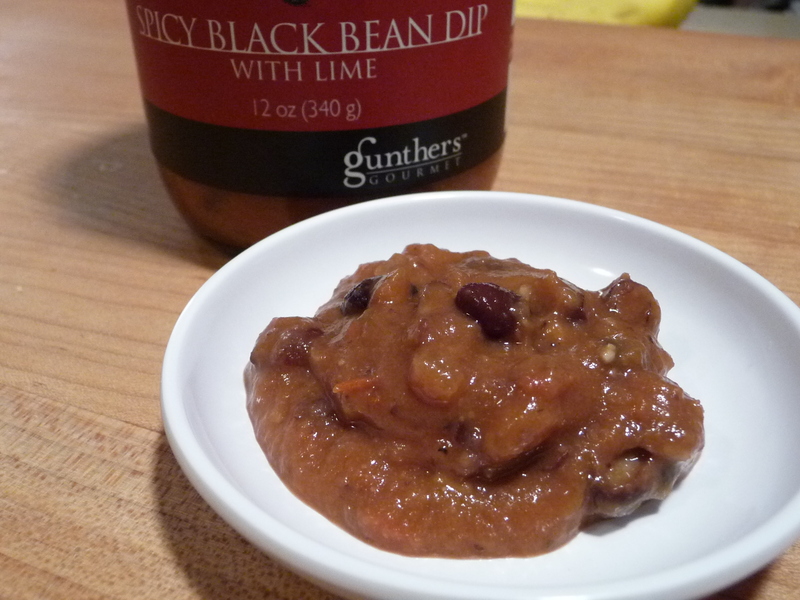 Since I only charge $4.99 for any item Gunther’s makes – you can order a jar of Spicy Black Bean Dip by choosing *any* product, and simply writing in the Comments section of your shopping cart “please substitute Spicy Black Bean Dip”. Be sure to order at least 2 jars… this stuff is addictive! Sounds like a perfect blend of pure goodness. Lime and Jalapeno, you can’t go wrong. This is a must try for me. Thanks Marilyn,,,:) Love the review. Black bean with lime, that sounds like a great combo.